A volume_cloud_base material is used to create clouds or shaped fog. It is applied to Volume boxes. 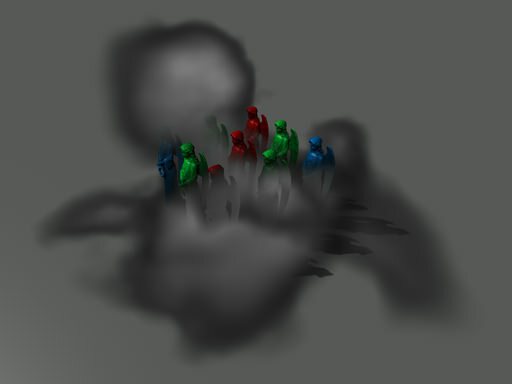 16 16 A density texture is sampled to render a cloud 16 times. 32 32 A density texture is sampled to render a cloud 32 times. 64 64 A density texture is sampled to render a cloud 64 times. 128 128 A density texture is sampled to render a cloud 128 times. 256 256 A density texture is sampled to render a cloud 256 times. 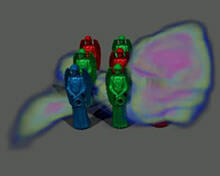 Samples samples Defines how many times a density texture is sampled to render a cloud. The higher the value, the smoother and less discrete the cloud is. To increase the performance, use low Samples values. 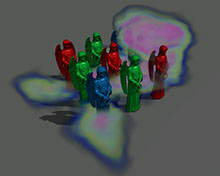 Attenuation attenuation Specifies if the attenuation texture will be used to override transparency values with the texture color for the cloud. Volume volume Specifies if a density texture is a 3D texture (rather than a 2D one). 3D Texture is used by default (if the Volume option enabled in the States tab). It represents a set of vertical cross-sections of the cloud. 2D Texture is used if the Volume option in the States tab is disabled. It represents one horizontal cross-section of the cloud. Attenuation attenuation_transform expression V coordinate of the attenuation texture coordinates transformation. 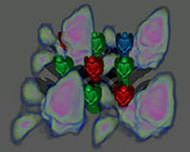 Scale base_scale expression Coordinate transformation of the density texture. Besides the native texture coordinates transformation, there are more options of setting texture coordinates. They are described in the Texture coordinates transformation article. Density parameters are modified in the Density field of the Parameters tab. 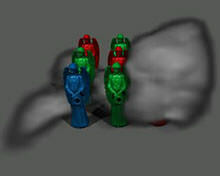 Multiplier volume_density slider A coefficient to scale the density of the cloud. 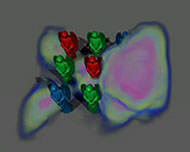 The density value multiplies the value of the G channel of the density texture.